The Buonarotti Suite guest house in Rome is in an absolutely perfect location for tourists and business travellers due to its proximity to Termini station which is the main transport hub of Rome. This means that due to direct train links and coach links from Rome's airports, you can be at your accommodation in no time. Termini also has a huge bus station, taxi ranks and is the home to the two underground Lines A & B which will take tourists and sight seers to almost every tourist destination. In fact, guests to the Buonarotti Suite are within walking distance of the Basilica of Santa Maria Maggiore, the Coliseum, Imperial Forum and Piazza Venezia, not to mention the fashionable district of Monti with it's myriad of restaurants and bars. The guest house itself is affordable and stylishly decorated & furnished with great facilities including a breakfast room (breakfast included in price). The bedrooms are also well equipped with en-suite private bathroom with hairdryer, security deposit box, mini-bar, telephone and air-conditioning. There is even free high speed Wi-Fi connection throughout the property! The Temple View Guesthouse Rome is a charming guest house that has only recently opened. Fitted with all modern conveniences the guesthouse has nevertheless retained a charming traditional feel that compliments the modernity of its facilities. Each guest room comes with a private en-suite bathroom complete with power shower, towel radiators and hairdryer, in addition to air conditioning, kettle and tea facilities, LCD TV and high speed Wi-Fi access. The guest house owners also offer daily room cleaning and laundry services. Perhaps the best thing about this property however is its superb location. Overlooking the site in the centre of ancient Rome where Julius Caesar was murdered, this area is well connected by public transport to all of the main tourist sights including the Vatican Museums, Sistine Chapel, St Peter's Basilica, the Coliseum, Trastevere, Circus Maximus and more. In fact there are many sites within a short walking distance away such as the Imperial Roman Forum, the Coliseum, the Capitoline Hill, the Jewish district, the Pantheon, Via del Corso, Trevi Fountain, Piazza Navona and Campo di Fiori. A great guesthouse that proves to be excellent value for money. 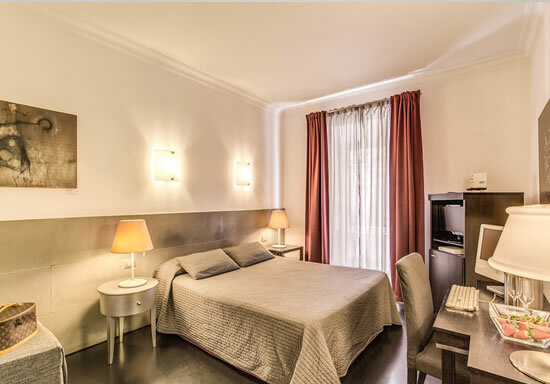 The Residenza Belli Rome is a small but comfortable guest house that offers 6 clean and elegant rooms including a one bedroom apartment in the heart of Rome. Rooms are available in either the single, double or triple varieties, and the apartment can hold up to 4 guests. Guests can enjoy a plethora of mod cons including free high speed Wi-Fi internet connection, air conditioning, LCD TVs, safety deposit box, mini bar and of course private en-suite bathrooms complete with shower and hairdryer. There are also highly trained multi-lingual staff on hand offering a whole host of services including an airport shuttle service, room service, childcare services, ironing, concierge, a complimentary breakfast and ticket booking services. 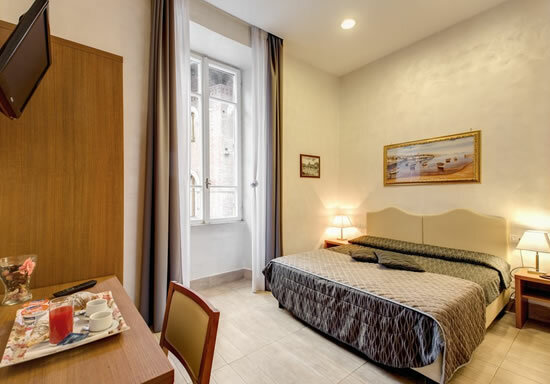 The accommodation is located in the vibrant and bohemian Trastevere district of Rome, famous for its charming cobbled streets, huge choice of bars and restaurants, and traditional medieval atmosphere. Guests to the Residenza Belli are therefore within easy reach of the Raphael frescoes at Villa Farnesina, the 5th century church of St Cecilia, the magnificent Basilica of St Peter, Castel Sant’Angelo, the Vatican Museums, Sistine Chapel, Campo di Fiori, Piazza Navona, the Pantheon and the Trevi Fountain. A lovely affordable guesthouse in a superb location. Residenza Villa Marignoli Rome is a complex of self-catering holiday apartments and suites to rent for short or long stays in Rome. Decorated in the Liberty style of Art Noveau, these 12 spacious residences enjoy a fully fitted kitchenette in addition to air conditioning, heating, a washing machine, hairdryer and satellite TV. Staff provide daily cleaning, weekly linen changes, a laundry service and a 24hr reception desk to provide assistance and information. The apartments are of different sizes and varieties include a 1 person apartment, a couple’s apartment, a family 3 person apartment and a family 4 person apartment. 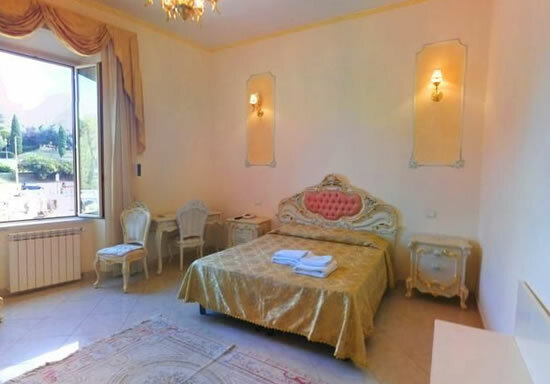 The location is also excellent with Villa Borghese park only 2 minutes walk away so guests can enjoy the statues, greenery, picnic places, boating lake, fountains and beautiful scenery. There is also an underground metro stop just 15 minutes walk away and from there guests can be at St Peters, the Vatican, the Sistine Chapel, the Basilica of St Mary Major, the Basilica of St John Lateran, Termini station and much more in a matter of minutes. Great value for money. Love Rome Guesthouse in Rome is a superb value for money guest house that allows you to enjoy affordable comfortable accommodation in order to use your hard earned cash to actually see Rome itself. 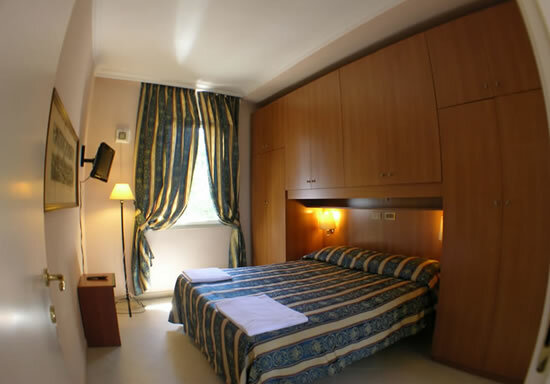 Located in the very centre of Rome just a stone’s throw from Termini Station – the transport hub of Rome – this cheap guest house has superb transport links with the Basilica of St Mary Major, the Basilica of St John Lateran, the Trevi Fountain and the trendy restaurant and boutique district of Monti, all being within walking distance. Of course with Termini being so close, guests can actually be at all of the main tourist attractions within minutes using the two underground lines that intersect here! The guesthouse itself is also great with 14 spacious rooms that are tastefully decorated, have a private en-suite bathroom with shower and hairdryer, have air conditioning (essential with the Rome heat), enjoy a flat screen TV, and even have FREE high speed Wi-Fi internet access. Guests can also enjoy a complimentary breakfast and the multi lingual friendly staff are on hand 24 hrs a day. As mentioned, a great value for money low cost accommodation. This unique and charming guest house was converted from artists’ studios to become a quality guest house offering 5 spacious and well lit rooms. In fact some original artwork of the previous incumbents decorate the walls here, and the guest house is full of character. 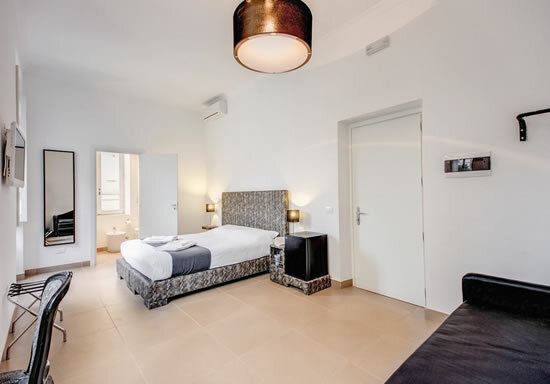 Each of the 5 rooms is equipped with a private en-suite bathroom with hydro-massage shower, air conditioning and fans, original terracotta tiled floors, wrought iron double beds, skylights, flat screen satellite TVs and free high speed Wi-Fi internet access. Each room is even fitted with a fixed or mobile easel for painting and drawing and the guest house offers painting or photography classes from professionals affiliated with the accommodation!! 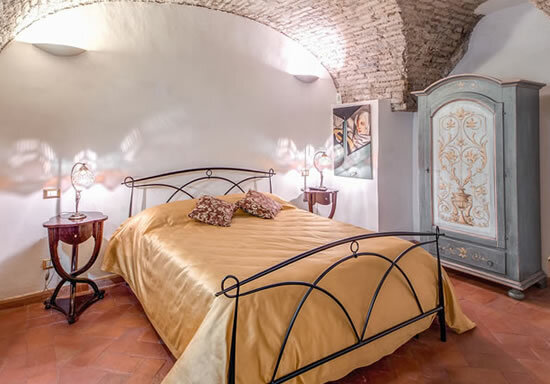 The location too is perfect with the Rifugio degli Artisti being situated near the River Tiber with Castel Sant’Angelo and the Vatican only a short walk away. The guest house is also close to Villa Borghese – a spectacular Roman park – which is perfect to soak up the sun, have a picnic or simply take a stroll through the fountains, statues, greenery and boating lake. Don’t delay – book today! Residence Lodi Rome is a complex of 3 star self-catering apartments that provide privacy and independence but for a low price. Simply decorated and furnished, each apartment comes with private cooking facilities, en-suite bathrooms with showers, comfortable beds and high speed Wi-Fi internet access. The apartments are also serviced by multi-lingual staff on the 24hr reception and indeed the accommodation provides many hotel like services as needed. The area is awash with restaurants and bars, and this district of Pigneto is considered one of the trendiest parts of Rome. Full of artists, actors and young people, the atmosphere is vibrant and typically Italian. 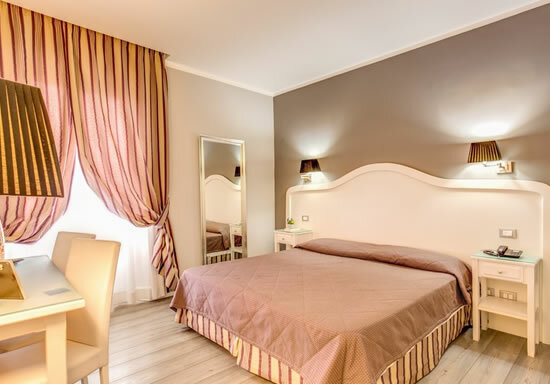 The residence is only a short distance from Termini station from where guests can travel to all of the main tourist sites with the minimum of hassle. A great place to stay for those on a budget. The Residenze Argileto Rome is a brand spanking new guest house in the trendy district of Monti at the very heart of ancient Rome. 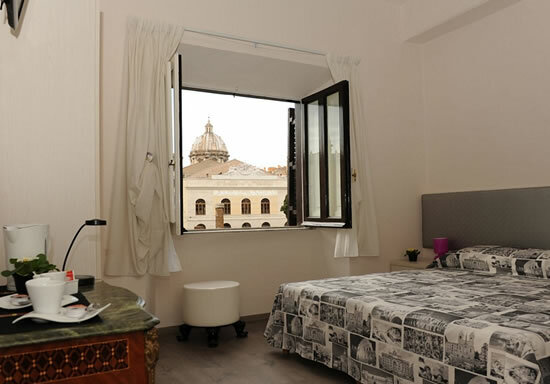 Overlooking the Imperial Roman Forum which is a 3 minute walk away, the accommodation is also only around 10 minutes walk from the awe-inspiring Coliseum and Capitoline Hill. The impressive Piazza Venezia is also virtually on your doorstep and with the Basilica of Santa Maria Maggiore and the Trevi Fountain also being within walking distance, they truly are in the centre of everything. With great transport links by metro (stations only around 10 mins walk away) there really isn’t any major tourist attraction that guests can’t reach. The guest house itself is luxurious and has been completely renovated. With 20 high quality guest rooms decorated in a modern designer style each room comes with a private en-suite bathroom with stone bath tub or hydro-massage shower, air conditioning, safe, tea making facilities, writing desk, flat screen satellite TV, and free high speed Wi-Fi internet access. The rooftop terrace is a gorgeous place to relax and enjoy the panoramic views and the highly trained multi lingual staff are available 24 hours per day on Reception to assist you with all of your needs. The Garibaldi Suites at Piazza di Spagna aka the Spanish Steps in the centre of Rome is a boutique designer hotel and guest house located within an easy stroll of the majority of the city’s main tourist attractions. Sights within a 5-10 minute walk of the Garibaldi Suites include Piazza del Popolo, the Trevi Fountain, the Pantheon, Villa Borghese park, Piazza Navona and Via del Corso. 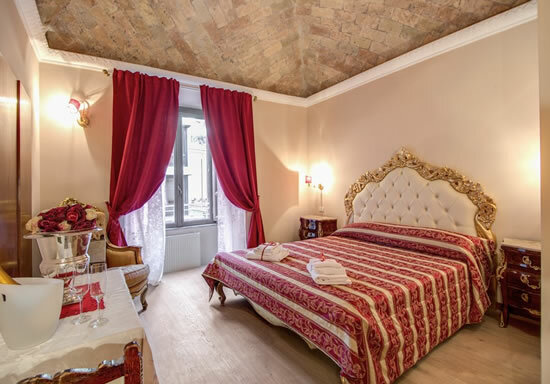 Situated just 10 metres from the Spanish Steps, the hotel is therefore also in the midst of all of the designer shops and elegant bars & restaurants. Of course Piazza di Spagna is also home to one of the A-Line metro underground stations, and so within moments, guests can be taken to all of the city’s tourist attractions quickly and with the minimum of fuss. In addition to the superb location, the guest house also boasts a fantastic history and great facilities. Previously home to the revolutionary Garibaldi and his wife, and after whom our property is named, each suite is named after one of the unifiers of Italy. Each suite is spacious and a large LCD TV, full Sky HD, a king size bed, heating and air conditioning with climate control, parquet floors, minibar, a safe for your laptop and other valuables, free broadband cable access to the Internet, Wi-Fi access, antique furniture, tables, chairs and a private bathroom with tub and shower, toiletries, hair dryer, and even slippers. 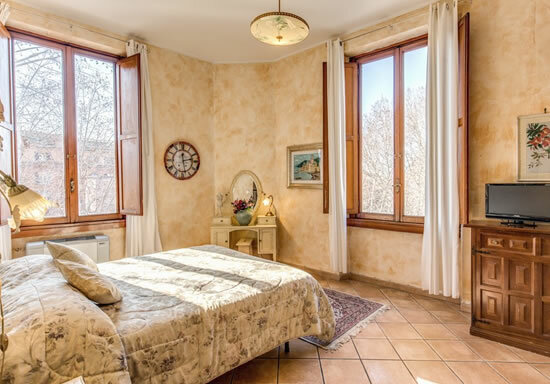 Residence AT Rome is a charming guest house situated in a 17th century Italian palazzo. The rooms are spread over 3 floors and come in either the room or suite varieties. 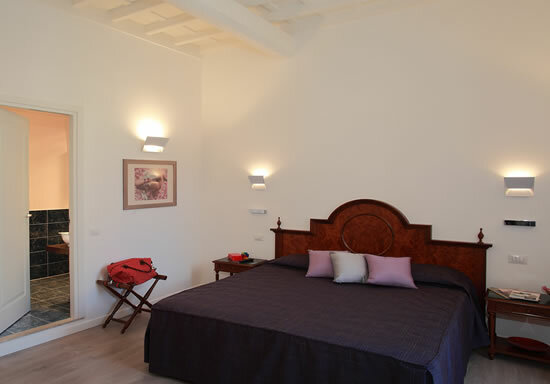 With exposed wooden ceilings, wooden parquet floors and warm décor, the suites feel both modern, homely and elegant. Each classically designed residence enjoys a flat screen satellite TV, en suite private bathroom with hairdryer, soundproofed windows, direct dial telephone and air conditioning. The staff are excellent and provide a complimentary continental breakfast to your room as part of the price and service. This is just what you need to fuel your day of sight seeing and there is no better place to be than Residence AT. Located at Piazza Barberini, guests are within walking distance of the Trevi Fountain, the Spanish Steps and the designer shopping boutiques. The metro station also present in the square also means that guests are just moments away from the Vatican Museums, Sistine Chapel and Basilica of St John Lateran by underground. 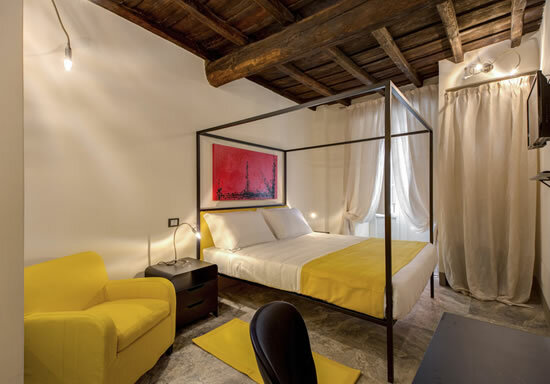 Residenza A – the Boutique Art Hotel in Rome is a stylish designer hotel in central Rome overlooking the famous street of Via Veneto. Offering 7 chic rooms decorated and furnished in a minimalist style, each room comes with a private en-suite bathroom with shower, hairdryer and complimentary toiletries;flat screen LCD TV with Sky; iMac computer; high speed Wi-Fi internet access; climate controlled heating and air conditioning; and a safety deposit box. Guests also have access to some fantastic facilities including a fitness and health club, a beauty and massage centre and a 24 hour private garage. Perfectly located for sightseeing being close to the lush green park Villa Borghese, Piazza del Popolo, the Spanish Steps and the best shops. 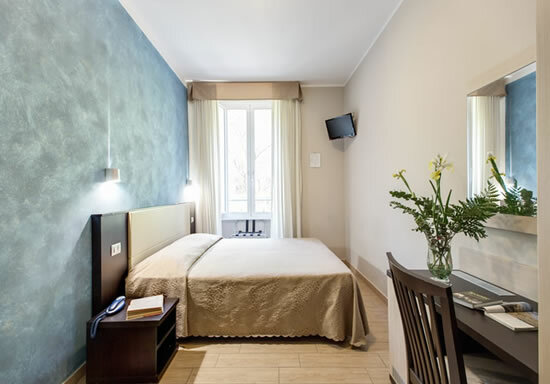 Of course, the hotel is also just a short walk from the metro stations at the Spanish Steps and Piazza del Popolo and so guests can also easily reach all of the major tourist attractions by underground. A great hotel in a great location. 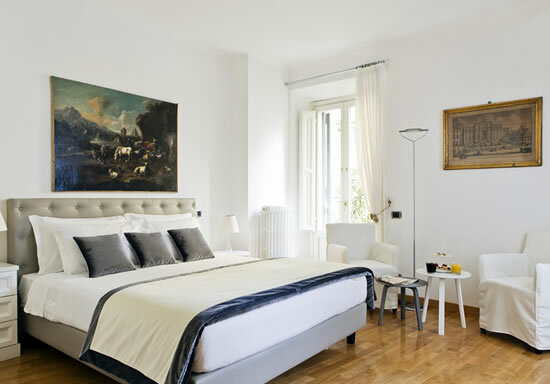 Rome 55 in the centre of Rome offers 5 luxurious rooms in an enviable location opposite the Spanish Steps and in the heart of the designer shopping district. Full of classy boutiques, fine restaurants and delicious wine bars, the area around Rome 55 is classy and great to window shop. From here guests can also easily walk to other fantastic sights such as the Trevi Fountain, Piazza del Popolo, Villa Borghese, the Pantheon and Piazza Navona. For those who prefer however, Piazza di Spagna offers a metro underground station that can take guests to the Vatican Museums, Sistine Chapel, Coliseum and Basilica of St John Lateran to name but a few. The Rome 55 acccommodation itself reflects the grandeur of the area with elegant deluxe rooms offering a host of modern conveniences including hardline and WI-FI internet connection, plasma satellite TV, air conditioning, tea and coffee facilities, personal safe, soundproofing, refrigerated mini bar and an en-suite marble clad bathroom with deluxe tub and hairdryer. A real treat! Campo de' Fiori Corner ApartmentCampo de' Fiori Corner Apartment - Rome The Campo de’ Fiori Corner Apartment Rome is a gorgeous 70 square metre apartment situated in one of the most famous squares of Rome. Decorated in an elegant classical style with terracotta tiled floors and exposed wooden beam ceilings, the apartment oozes Italian charm and homeliness. Simply furnished and typically Italian the apartment enjoys a living room with a sofa bed, 26 inch LCD TV, ample comfortable seating and a fully equipped kitchenette with cooking and dining utensils included. The bedroom offers a king sized bed with hypoallergenic pillows, a single bed if required, a safety deposit box, an iron & ironing board and a cot if required. The bathroom offers a charming bathtub and includes a hairdryer. In fact the entire apartment enjoys modern conveniences with free WI-FI internet available through the apartment in addition to adjustable air conditioning in every room. Campo de’ Fiori, where the apartment is located, is famous in Rome for its lively market and Italian charm. Not only that but from this location, guests have an ample choice of restaurants, bars and boutiques to explore, and some of the major tourist attractions of Rome are within walking distance including the Pantheon, Piazza Navona, the Trevi Fountain, the Spanish Steps, Piazza del Popolo, the Vatican Museums and more. The Collina Inn Rome is an affordable guest house in the centre of Rome close to Termini Station – the transport hub of the city. Offering 4 great value rooms in a variety of sizes decorated in an elegant style, each room enjoys the latest modern conveniences including a private en-suite bathroom with shower, hairdryer and complimentary toiletries, a safety deposit box, writing desk, flat screen TV, air conditioning and free high speed WI-FI internet access. The multi-lingual staff are friendly and professional and a complimentary Italian breakfast is served as part of the room price. The proximity of the guest house to Termini station means that guests who stay here have the chance to visit all of the main tourist attractions with the minimum of hassle. Indeed, the Spanish Steps and Trevi Fountain are within walking distance, but all other attractions such as the Vatican Museums, Sistine Chapel, Coliseum and Imperial Forum are just a short underground ride away. A great value for money guest house. 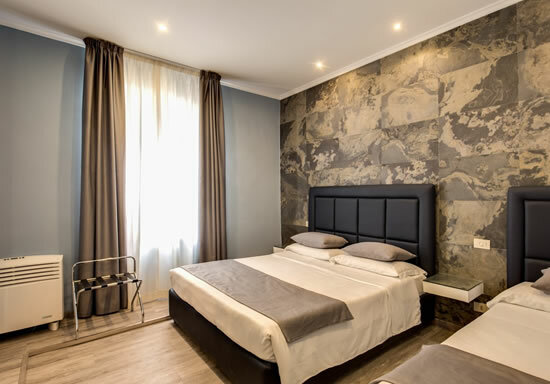 The Imperia Suite Rome is a family run guest house situated close to Metro Line B with a direct link to Termini – the transport hub of Rome – and the Coliseum. This means that guests can utilize the direct links with the city’s airports that Termini enjoys, but also use Metro Line A that passes through Termini and which can take guests to the Trevi Fountain, the Spanish Steps, the Basilica of St Peter, the Vatican Museums and the Sistine Chapel. Guests can also ride the B Line past the Coliseum and visit the Circus Maximus and the Basilica of St Paul. The area around the guest house is also full of nice shops and good quality restaurants. The guest house itself is modern and chic with rooms that are spacious and elegant and enjoy a designer feel. Each room offers parquet flooring, air conditioning, a private en suite bathroom with shower and hairdryer, a 32” flat screen TV and free high speed Wi-Fi access. One of the rooms also offers a terrace and hydro-massage tub! The advantage of a family run guest house is the personal service and value for money that guests receive. A complimentary Italian breakfast is included as part of the room price in addition to a host of other services. 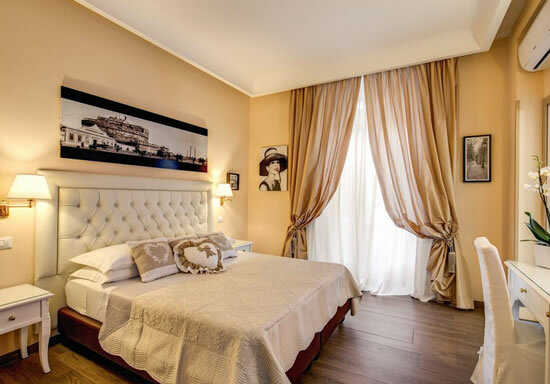 La Reggia dei Principi luxury guest house is to be found in the very centre of Rome just around the corner from the Opera House and close to Termini station which has direct links to the airports. Very close to the ancient district of Monti (where Julius Caesar was born), this area is famous for it’s traditional restaurants, art and jewellery boutiques and bohemian atmosphere. La ReggiadeiPrincipi is also within walking distance of many of the city’s main attractions including the Coliseum, the Basilica of St Mary Major, the Quirinale Palace and the Trevi Fountain. After a hard days sightseeing guests need to feel they can return somewhere to relax in comfort. Well at La Reggia dei Principi guests can relax in style. Each of the 7 plush rooms are luxuriously decorated and furnished with ornate baroque furniture, rich fabrics and relaxing colour tones. Newly renovated, the guest house also offers the latest mod cons including refrigerated minibar, private en-suite bathroom with shower & hairdryer, air conditioning, parquet flooring, flat screen TV and even free Wi-Fi internet access. Book your place today before they all sell out! The Coronari Courtyard guesthouse situated in the heart of Rome is a newly renovated accommodation that is great value for money. Offering 5 comfortable and spacious suites decorated and furnished in an elegant yet simple style, each suite also enjoys a host of modern conveniences including a private en-suite bathroom with shower and hairdryer, a 32 inch flat screen TV, air conditioning, heating, a personal safety deposit box for your valuables, a comfortable lounge area, tea & coffee making facilities, refrigerator and even free Wi-Fi internet access. The Coronari Courtyard Rome also provides highly trained and friendly staff to help guests with their questions and problems including general tourist information, booking taxis, restaurants, theatre tickets etc and which overall makes the guest house a perfect base from which to explore Rome. 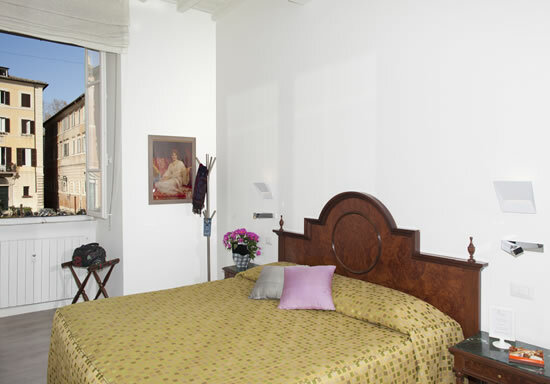 Situated in a gorgeous piazza just a stones throw from the famous Piazza Navona, guests are within walking distance of Campo de’ Fiori, masterpieces of Caravaggio, Bernini, & Michelangelo, the Vatican, the Trevi Fountain and more! Book with real time availability and confirmation!